Front-end ratios determine whether you can afford your mortgage payment. 3. 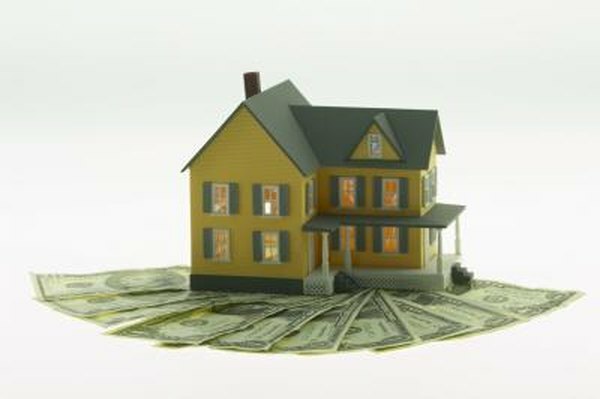 What Determines How Much You Can Get a Mortgage For? Debt-to-income ratios tell lenders whether you can manage your debts. Keeping your debts in control represents the foundation of sound financial health. Lenders want to see low front-end debt-to-income ratios, with the maximum front-end ranging from 28 to 41 percent, depending on the type of mortgage loan you are seeking. Having a front-end debt-to-income ratio that is too high limits your chances, but might not stop you from qualifying for a loan. Front-end ratios, or housing expense ratios, look at your gross monthly wages and how much they contribute toward your mortgage payment. Generally, your mortgage payment, including interest, taxes and insurance, should not surpass 28 percent of your monthly income amount, but the Department of Veterans Affairs extends this percentage to 41 percent for their potential homebuyers. A high front-end debt-to-income ratio means that your mortgage payment will encroach on your income and ability to pay additional living expenses included in your back-end ratio. These types of expenses include car payments, student loan obligations and credit card payments. Lenders want to see how much debt your income handles before you would struggle financially. For example, if your mortgage payment conssumes 70 percent of your income, that leaves only 30 percent to pay additional expenses, such as utility bills, food and automobile maintenance. There are options if you have a high front-end ratio, but feel you are financially suitable for the loan. Placing a large, upfront down payment increases the chances of lender approval, regardless of your debt-to-income ratio. A down payment not only reduces the amount you borrow from the lender, but also shows the lender that you are serious about your investment. Co-signers are another option if you have a high debt-to-income ratio. Your co-signer needs to have good credit and a reasonable debt-to-income ratio, as well as be willing to take the risk of being on your loan. If you are unable to qualify for a mortgage because of a high front-end ratio, you need to consider lowering your prospective home price range. Because a front-end ratio focuses solely on your mortgage payment and income, lowering the purchase price of the home creates a more favorable front-end ratio. Speak with the seller and see whether a price negotiation is possible if you are on the cusp of a favorable front-end ratio. Reducing debts from your back-end ratio also improves your chances for a high front-end ratio approval. Realtor: I Was Told My DTI Is Too High, What Does This Mean?